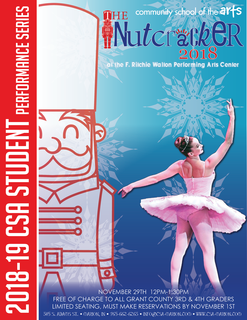 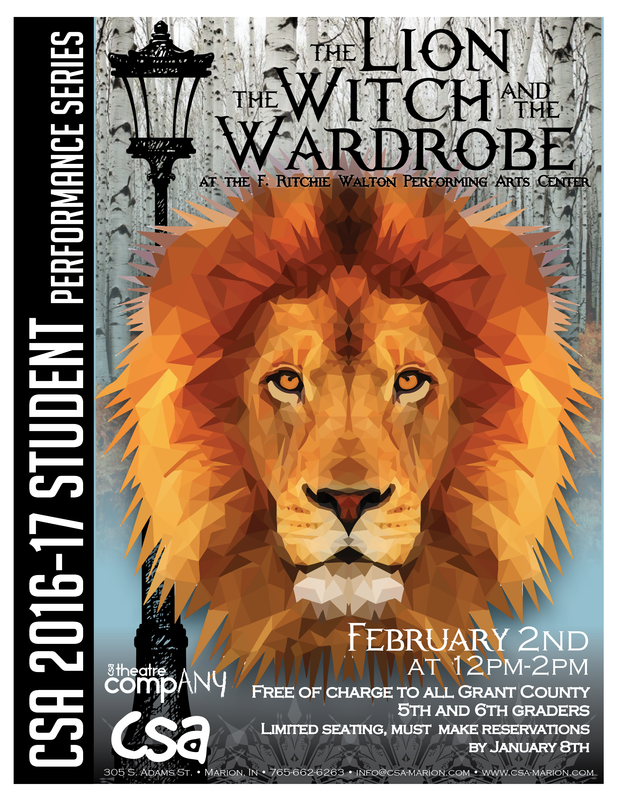 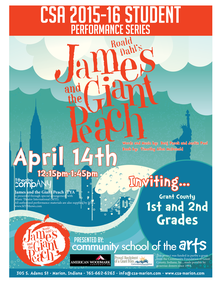 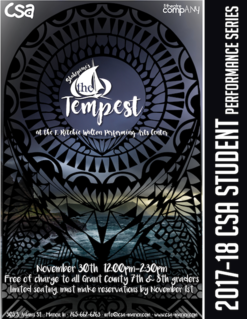 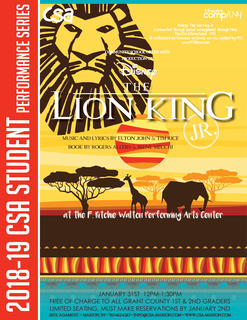 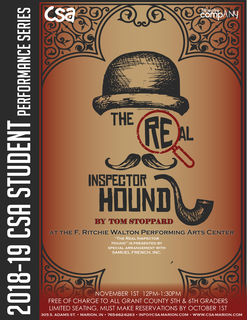 The CSA Student Performance Series gives the opportunity for local students to encounter the arts firsthand through free performances of the CSA theatrical dress rehearsals. 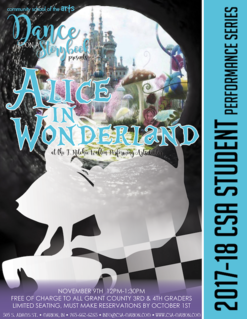 In addition to igniting a passion for theatre in the hearts of students, CSA hopes that it can be an educational experience as well. 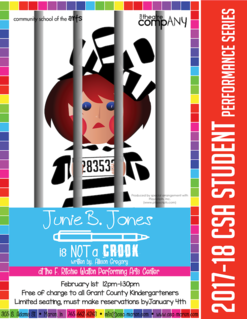 An Educator’s Guide is made available to teachers to be used in conjunction with each performance. 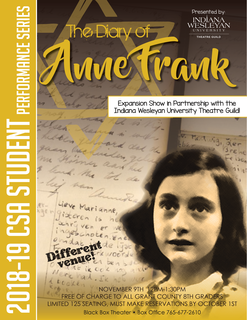 These guides are designed to incorporate state standards into academic lesson plans connected to each performances while also giving students a glimpse of the artistic experience of the theatre. 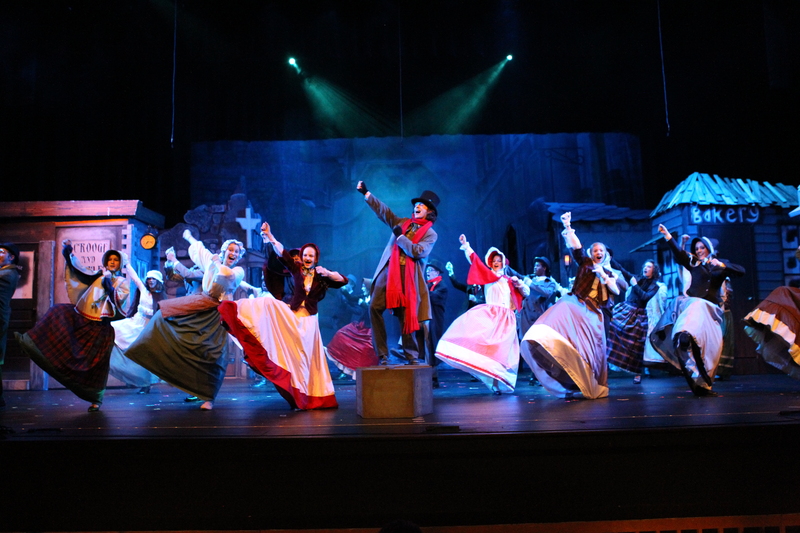 A question and answer session is held at the conclusion of the performance, where students are able to talk and ask questions to the cast and crew of each show. 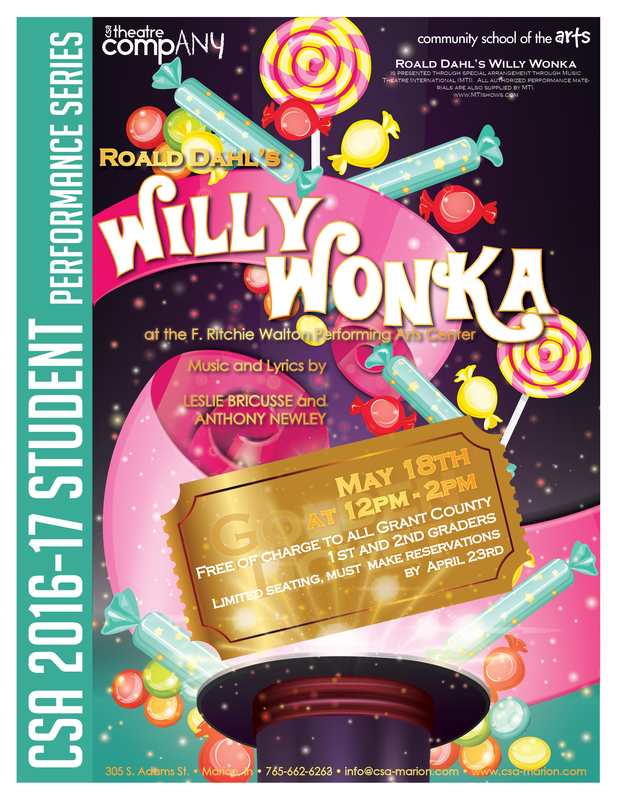 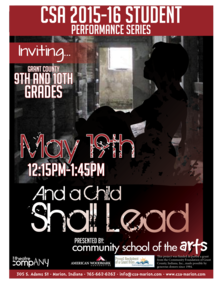 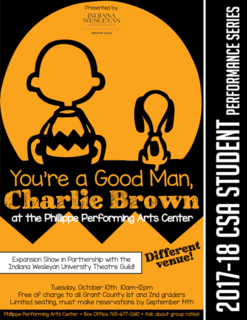 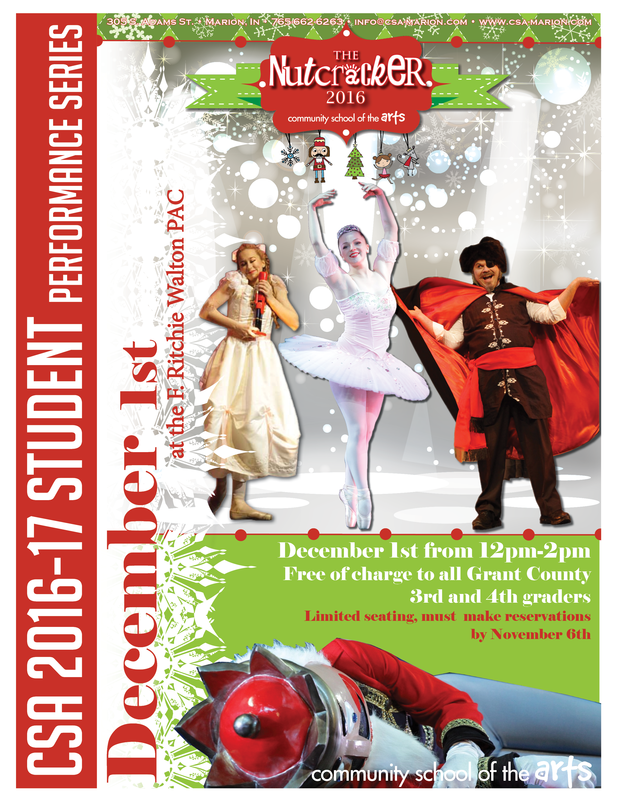 Contact CSA at 765-662-6263 or info@csa-marion.com for more information regarding upcoming Student Performance Series.